GM Eugene Torre has yet to be defeated in the Baku 2016 Chess Olympiad so far. 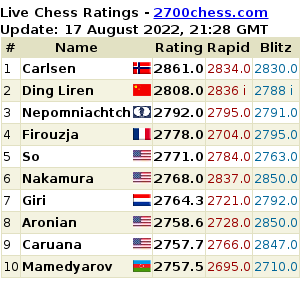 He’s had 2 draws and 5 wins so far in seven rounds, including his latest win against GM Axel Rombaldoni of Italy. 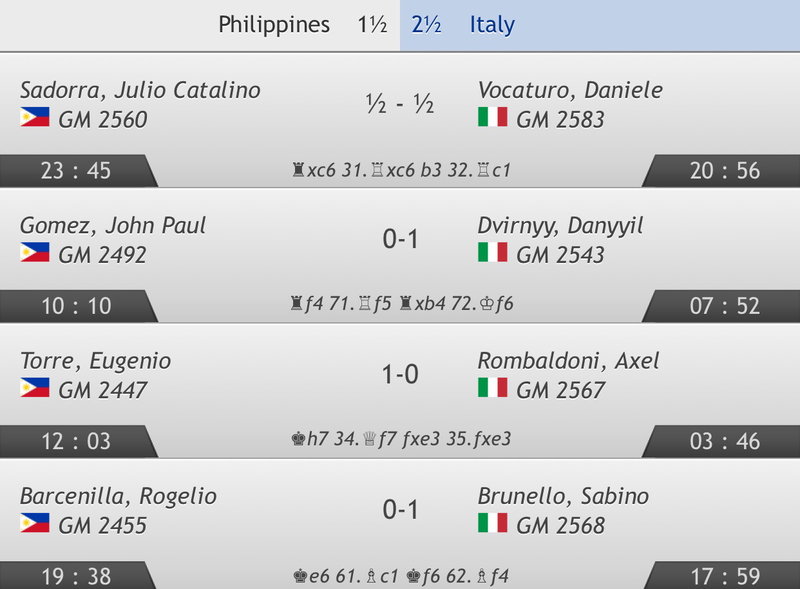 But that was not enough to boost the team as the Philippines lost to Italy, 1 ½ to 2 ½ in Round 7 of Baku 2016 Chess Olympiad.